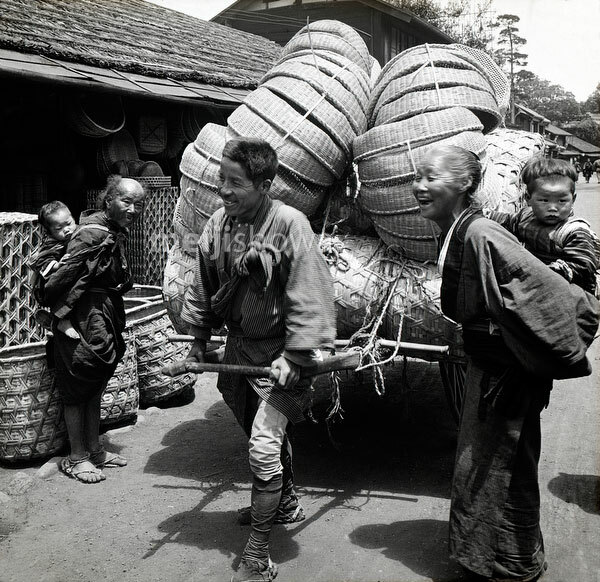 A basket peddler wearing a short coat, gaiters, black socks and waraji (straw sandals). Farmers made simple baskets during the off season, but most were made by professional craftsmen. Whereas some owned shops, many traveled around to sell their wares.